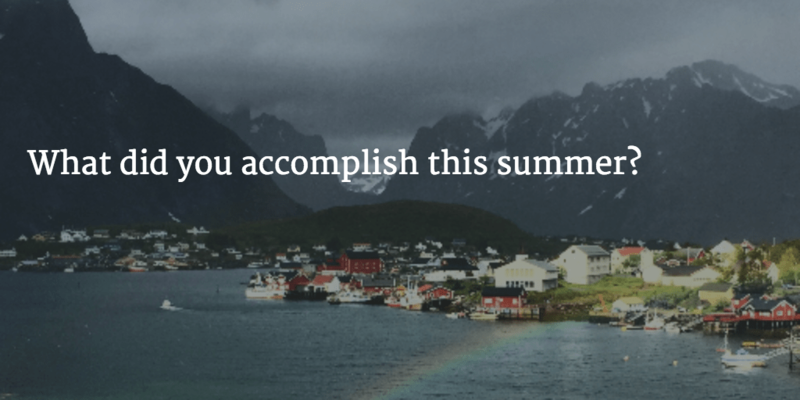 What'd You Accomplish This Summer? Jeannie’s a rising third year student-athlete in the Engineering school, which is to say she’s used to a heavy workload. So in typical fashion instead of wasting away the summer at the pool she kept herself busy backpacking throughout Europe and a whole lot else! …and oh yeah, she managed to find time to visit a dozen countries and countless cities along the way. Find your passions and bring them together the way Jeannie combined her love of travel and desire to improve her development skills for a future career. That, plus a dash of commitment, dedication and follow-through will always separate you from the crowd.